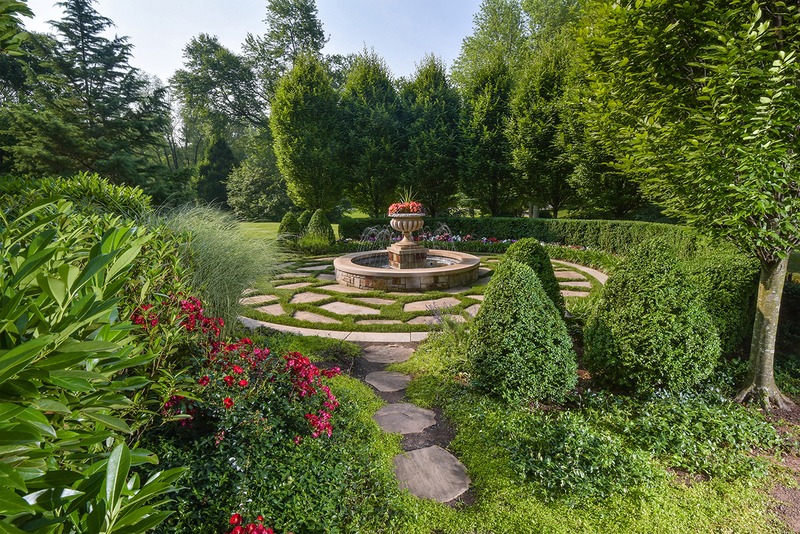 Photograph courtesy of Chapel Valley Landscapes Company and LoveYourLandscape.org. "Help! What happened to my plants?" Every gardener has experienced it: that sinking feeling in the pit of your stomach when you discover plants which just yesterday looked lush and beautiful now looking damaged, struggling, or even dead. It's a discouraging feeling for sure. But the only thing you can do is find out what went wrong, and what you can do to correct the damage. To help, here is a quick reference list of some of the most common plant ailments affecting garden plants, and their most likely causes. Spindly, leggy plants – Too much shade. Move or transplant to a sunnier area, or replace with more shade-tolerant plants. Dried, curled leaf edges and/or bleached-looking spots on leaves or fruit – Sunscald. Provide afternoon shade. Yellowing or light green leaves, dropping leaves, wilted plants with wet soil – Overwatering. If this is a persistent problem you may need to talk to your landscape professional about soil additions or amendments to improve drainage and/or plant selection. A smart irrigation system can also help. Dried or yellowed leaves from bottom up, wilting plants, slow growth with dry soil around roots – Underwatering. You may wish to install an irrigation system that will automatically water your plants. Improving the soil structure will also make more moisture available to your plants. Lush green leaves but few flowers or fruit – Too much nitrogen fertilizer favors leaf growth over flower production. Stunted plants with wilted, discolored leaves with roots that are dark and soft – Root rot. This condition usually is due to a fungal infection brought on by overwatering. Healthy new roots should be white and firm. If this is a persistent problem it may help to replace infested soil with a fresh soil mix. "Scorched" appearance – Too much fertilizer. Stunted, pale, straggly plants – Too little fertilizer. Powdery white substance on leaves – Powdery mildew. Combat this common fungal infection ahead of time by selecting resistant varieties, thinning plants to provide adequate air circulation, making sure plants have enough light, rotating annuals, and using slow release fertilizers (since new growth is most susceptible). Bud drop – Typically caused by shock due to transplanting, draft or temperature (too hot or cold). Slow growth – Many conditions can contribute to slow plant growth. Some of these include cold temperatures, not enough light, insufficient water, and not enough fertilizer. Be aware that some plants will stop growing temporarily due to seasonal dormancy. Plant clipped off near soil – Cutworms. These hated garden pests curl around the base of a young plant and chew through the stem at night. Foil them by placing a cardboard collar around each stem at soil level. Misshapen, curled, sticky leaves – Aphid damage. Look for these tiny, sap-sucking insects clustered on plant stems and the undersides of leaves. If your aphid infestation is moderate you may be able to remove them with a blast of water or by wiping them off with a damp cloth. There are also many commercially available and homemade spray-on aphid solutions. Another option is to release aphid-eating insects, such as lady beetles, into your garden. Yellow mottling on leaves – Red spider mites. These minute pests are best kept in check proactively by feeding and watering your plants correctly, keeping leaves clean and dust-free, and attracting beneficial insects to your garden. Heavily infested plants should be removed to keep them from spreading to other plants. Lacey, skeletonized leaves – Insects such as Japanese beetles, flea beetles or sawflies will often munch away at the tender parts of leaves and leave the tougher veins intact. Solutions depend upon the species involved. Yellow or brown spotted leaves – This pattern can be caused by various fungal or bacterial infections; again, the solution depends upon which one you're dealing with. This list covers many of the most common plant problems but certainly not all. If you use this list to troubleshoot your plant problems and still find your flowers are unhealthy, a landscape professional can help with additional remedies. Experienced help will be especially warranted if the damage appears to be caused by a plant disease or pest, since professionals know what the common ones are in your area and how best to deal with them. Not all plant ailments can be cured. Sometimes the best solution is to remove the plants and try again with healthy plants selected for site compatibility and disease/pest resistance. However, in the majority of cases, you should be able to find a solution that works to bring your plants back to blooming health!